eumom.ie are offering you lucky ladies the opportunity to win 1 of 8 boxes of MONDSS Underarm Wear. We have another fab prize for our eumom.ie members! MONDSS Underarm Wear is an innovative and breakthrough product helping you to wear the clothes you love. MONDSS Underarm Wear is a natural, discreet and secure solution to underarm perspiration. MONDSS Underarm Wear adheres to your skin, locks in odour, absorbs and prevents perspiration marks from getting onto your clothes. 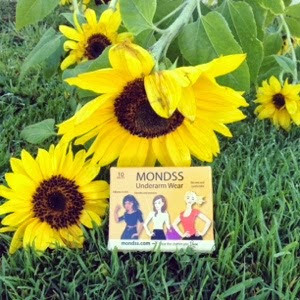 A box of MONDSS contains 10 breathable, hygienic and disposable pieces of self-adhesive Underarm Wear, which are applied directly to the skin. Where does mondss.com ship to? MONDSS Underarm Wear are offering free Postage and Packaging, exclusive to eumom members by using the coupon code eumom when purchasing on mondss.com – VALID UNTIL 30/11/2014.